An artist is a person with exceptionally innovative and creative skills. His mindset, his thought process is all influenced by the surroundings he lives in. Designing an Artist’s House is of great significance to begin the learning process of design. This project was given to us by the University in the first year of the Architecture course. This is a project where we could explore our creativity to the fullest. At the beginning of our course, we are not much aware of the conventional forms or logical design solutions. We are extremely creative when we are unaware of the actual process of transforming our project into reality but later on, as we progress with our course, we tend to restrict ourselves. Anyway, we will not get into a discussion on that topic. Coming to the case study part, case study is like the backbone of our design. We have to study the existing structures to determine the requirements. Case studies are necessary not just for an Architecture student but this is a part of design process which the Architect has to carry out for his entire life. As I have mentioned in the title above “Case study of Luxurious Homes”, the case study of an Artist’s House is limited to Luxurious Homes because it involves creativity. So studying more of creative places helps us explore our own creative genius. What do you do when you go on a Case study? 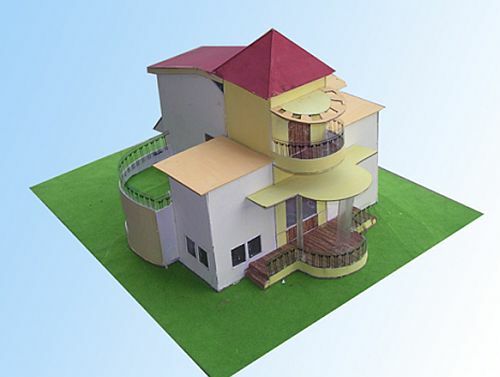 Case study means study of a case (project) which includes all its elements of design. The structure (home) that you are studying has various advantages and disadvantages which you have to work on. Earlier, in one of my articles, we discussed the detailed process of performing a case study. Those factors also have to be included into this case study process.